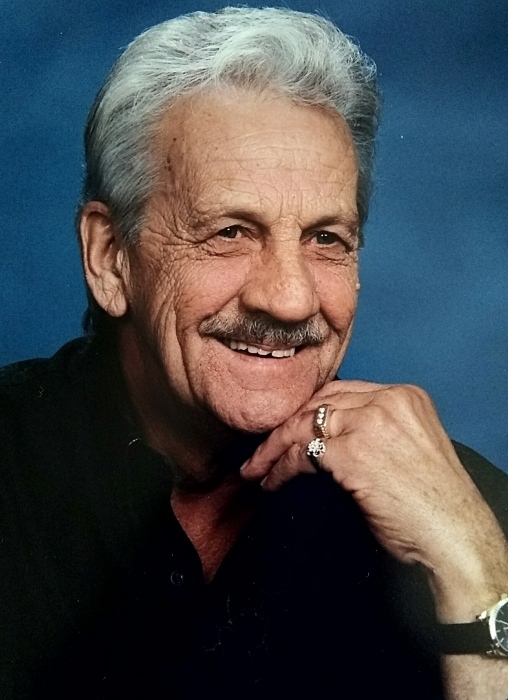 Fred Lonzo Stuard, 85, of Oklahoma City, entered into his Heavenly home on August 31, 2018. He was born April 16, 1933 in Lindsay, OK to William and Louada Stuard (Emory). Fred grew up and attended school in Lindsay, OK. He worked in road construction and took part in many large projects throughout his career, including the H.E. Bailey turnpike and major parts of I-35 and I-40. He later moved on and began a career in jewelry sales, which is something that he loved. He and Ron Martin, who loved Fred like a brother, made a very successful team and enjoyed traveling and setting up for shows where they would sell their jewelry. Fred met Marilyn in 1994 and they married May 19, 1995. He loved his family and enjoyed having them over for gatherings and cookouts, where homemade ice cream was always a must. His most favorite hobby was Bingo and if he wasn’t at home, the family knew where to find him. He was able to enjoy a final game of Bingo just 2 weeks before his passing. In addition, Fred had a green thumb and could grow the best tomatoes, corn, onions, and any other vegetable. He worked hard in his garden and was proud of it. He also loved listening to music on his computer and specifically enjoyed gospel music and country and western. Above all, Fred was a man who loved God and lived his life for Him. He attended Liberty Worship Center for the past 12 years and loved his church family. He was preceded in death by his parents; brother, Truit Stuard; and sisters, Lorene Luff, Alma Baker, and Donna Sessions. Survivors include his loving wife, Marilyn Stuard, of the home; daughters, Beverly Allmond and Rick of Okmulgee and Cheryl Sills and Jimmy of Oklahoma City; son, Freddy Stuard and Roxie of Florence, Colorado; grandchildren, Lonny Stuard, Dusty Sills, Derek Sills and wife Misty, Paul Head, Nolan Head and wife Katy, Keyerstin Stuard, and Kylee Stuard; brother, Loy Elkins; sisters, Lois Elkins and Fayrene Kennedy; and 7 great-grandchildren. He is also survived by a host of loving step-children and extended family and friends. Although Fred will be immensely missed by all who knew and loved him, we find peace in knowing that he is with his savior and is forever healed. Visitation is 4:00p.m. to 8:00p.m., Tuesday, September 4, 2018 at Moore Funeral and Cremation, 400 SE 19th St. Moore, OK 73160. Services are 2:00p.m., Wednesday, September 5th at Liberty Worship Center, 1200 Southwest 44th St. Oklahoma City, OK 73109, with Bishop Matt Pool officiating. Interment will follow at Resthaven Memory Gardens. Condolences may be shared at www.MooreFuneralCremation.com.